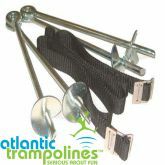 Enclosures & Safety Nets for 8ft Trampoline. Free Next Day Delivery! The 8ft Trampoline Safety Enclosure is a must-have addition for any 8ft trampoline. 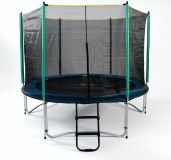 The trampoline enclosure is a safety net surrounding the outside of the trampoline and provides added trampolining security. 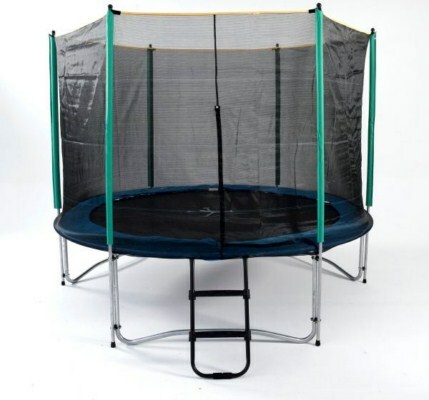 The 8ft trampoline enclosure net totally encloses the bounce area and has padded poles and a zip-up section to allow entry to the trampoline. Using a trampoline enclosure will help prevent the bouncer accidentally falling off the trampoline bed or jumping off when dismounting. 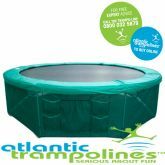 Atlantic Trampolines also offer 8ft trampoline with enclosure packages. This safety enclosure is only suitable for trampolines with a maximum leg size of 40mm and 3 legs Suitable for all-year round outdoor use.